Can you say LOCATION, LOCATION, LOCATION! Ideally situated within walking distance from everything that is award winning Greenville: the Swamp Rabbit Trial, The Peace Center, Falls Park, The Liberty Bridge, art galleries, gourmet restaurants and breweries, boutique shops, Saturday morning market and the many street festivals with outdoor concerts and art shows. 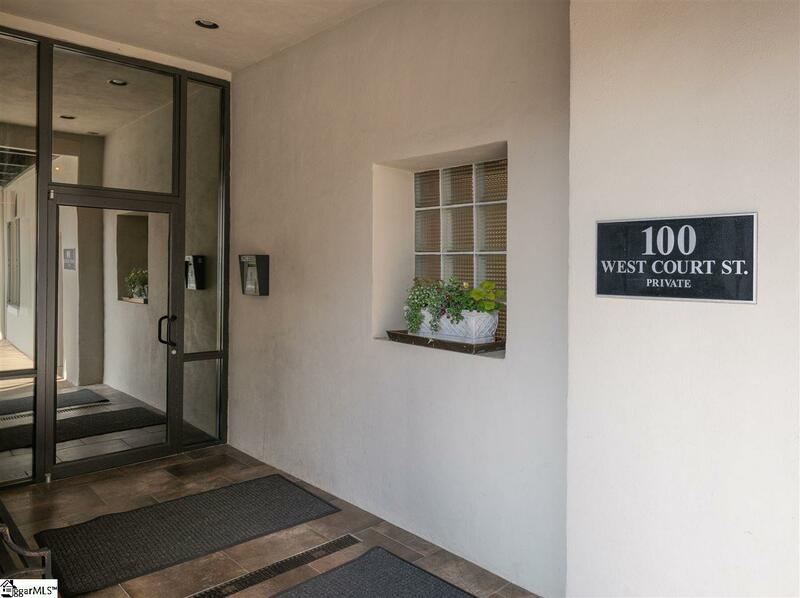 With its own private courtyard entry, you are just steps away from the action--only one block from Main Street. 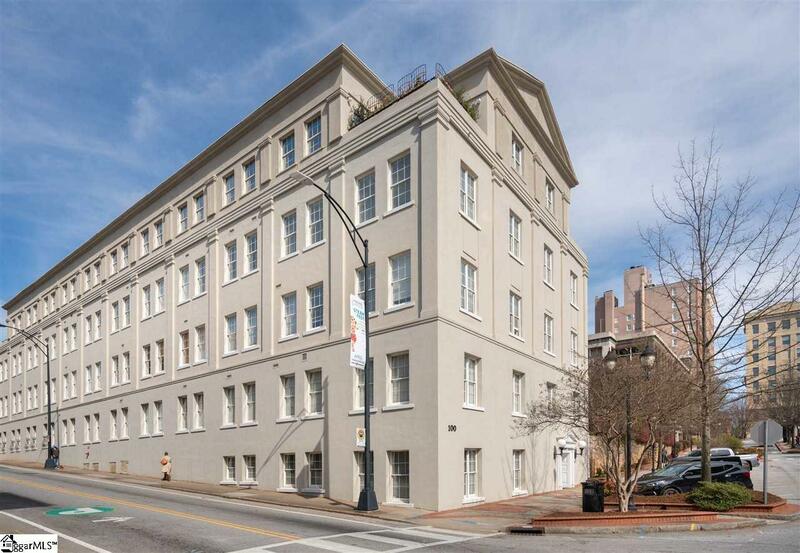 Court Street Condos were originally part of the Downtown Baptist Church, now Grace Church, built in 1858 and is on the National Register of Historic Places. This exquisite 3 bedrooms (one could be used as a home office), 2 bath condo boasts almost 2300 square feet of the perfect floor plan and features: tons of natural light from the many over sized windows that have custom plantation shutters, exposed brick walls, hardwood floors and large moldings. The open concept of the living room, dining room and gourmet kitchen with stainless steel hood and appliances and granite counter-tops makes this area ideal for entertaining. 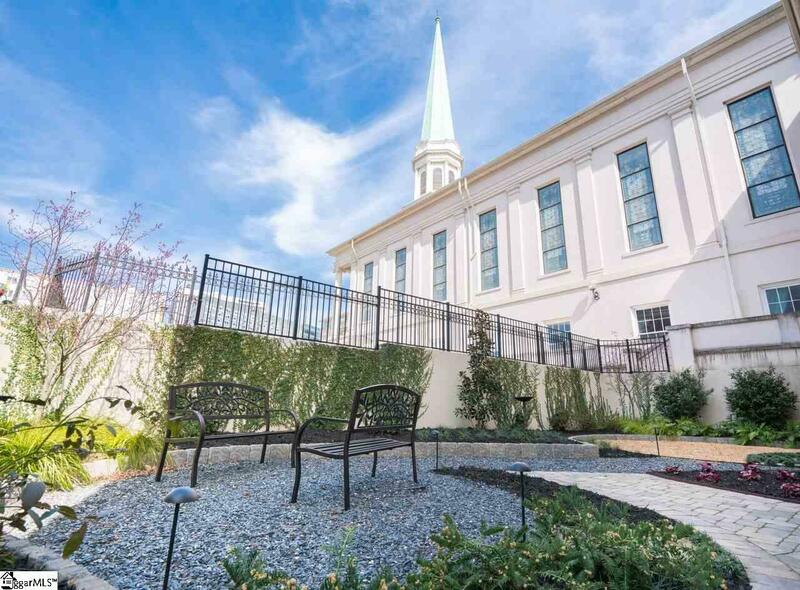 The walled outdoor courtyard is steps away and is truly a unique feature for downtown living. The current owner expanded the courtyard to 46x21 (993 square feet of outdoor living) and had the landscaping professionally designed by the renowned local landscape architect, Graham Kimak. With the 6' high walls surrounding it, the privacy is unparalleled for downtown outdoor living, there is even irrigation and landscape lighting. The bedrooms are separated for privacy. The master bedroom features an exposed brick wall and has two walk-in closets with melamine closet shelving. The large on suite bath has two sinks and even has a bidet. The other two bedrooms also feature exposed brick walls and walk in closets. The shared bath also features a bidet. Storage space is ample with numerous closets and a separate walk-in laundry room. Located on the first floor, this corner unit offers direct access to the exterior via a gate from the courtyard or from the front door which leads to a short walk to the parking area. 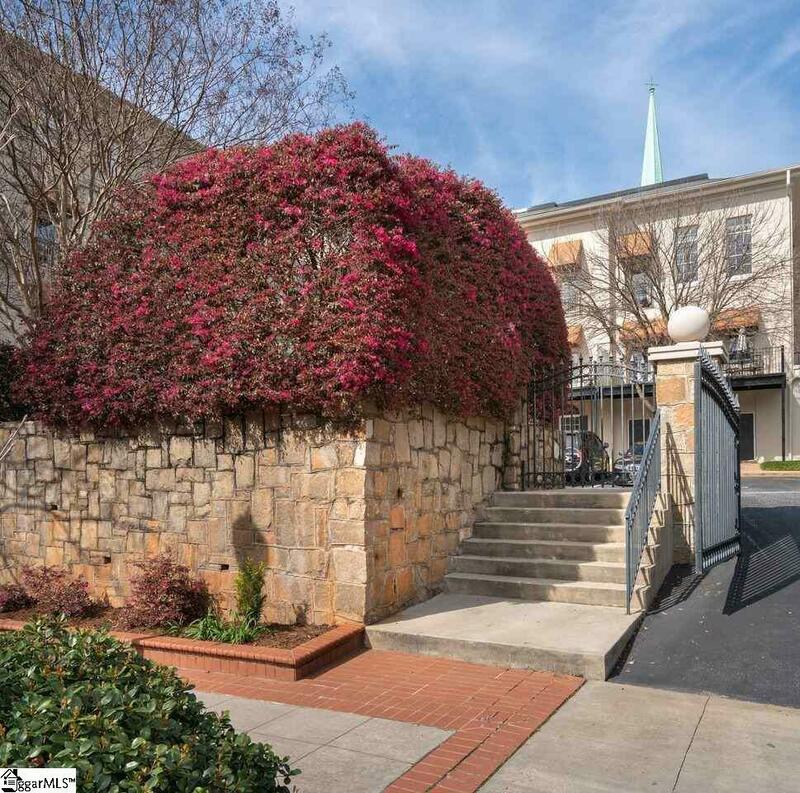 Deeded with the condo are THREE parking spaces inside the back parking courtyard. Condo has recently been painted and is move in ready. Listing provided courtesy of Karen Turpin of Marchant Company, The.